Ambient and pervasive intelligence is a vision of the future where computers and computing devices will be available naturally and unobtrusively anywhere, anytime and by different means in our daily living, working, learning, business and infotainment environments. Such a vision opens tremendous opportunities for numerous novel services/applications that are more immersive, more intelligent and more interactive in both real and cyber spaces. The series is seeking high quality, original and comprehensive edited or authored text books, lecture notes, conference proceedings, monographs, case studies on topics leveraging all aspects of ambient and pervasive intelligence with related theories, technologies, methods, applications and services on ubiquitous, pervasive, AmI, universal, mobile, universal, embedded, wearable, augmented, invisible, hidden, context-aware, calm, amorphous, sentient, proactive, post PC, everyday, autonomic computing from all engineering, business and organizational perspectives. 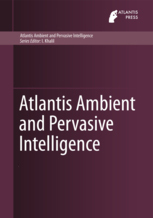 Topics covered by the series include embedded systems, ambient networking and intelligent services, ubiquitous/multi-modal interaction and intelligent management, smart objects and smart environments, context-aware computing, sensor networks, distributed software, systems, middleware and frameworks for ambient intelligence, analysis, design, implementation and evaluation of pervasive computing systems and environments, and communication systems and infrastructure for pervasive intelligence. All book proposals submitted to this series will be reviewed by the series editor(s). After the book has been completed by the author, it will be entirely reviewed by one dedicated editor. Only after this review the book will be published.